© Licensed to London News Pictures. 13/02/2017. LONDON, UK. 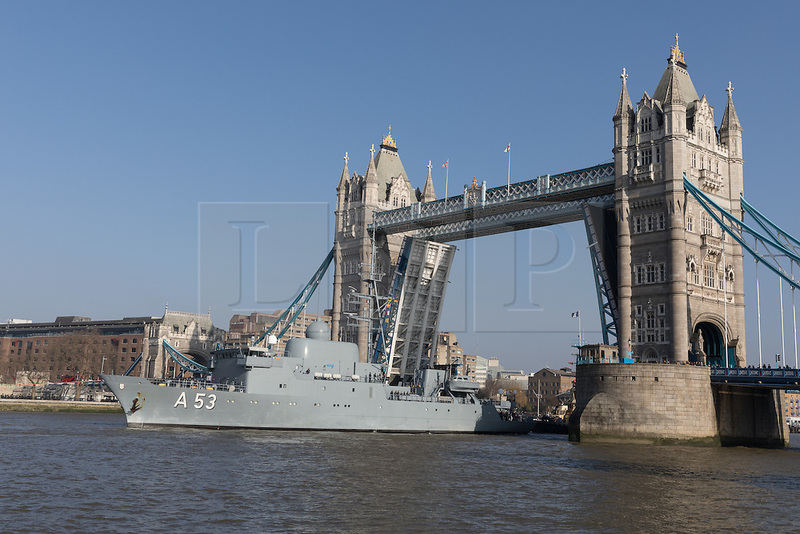 The German Navy spy ship, FGS Oker A53 leaves London, passing under Tower Bridge on the River Thames following a short London visit. FGS Oker A53 is one of the Oste class ships, that are purpose built intelligence collection spy ships and were primarily designed to gather data on Soviet warships. Photo credit: Vickie Flores/LNP.